I hope your summer has been awesome!! Here in Missouri we are at 100 degrees or more every day and 101 on Saturday without the heat index! So instead of swimming in the bathwater temperature pool, we had a family reunion on Sunday. For the main meat, I purchased 10 pounds of pork shoulder to smoke. I love this electric smoker! It makes everything taste good. Alton Brown had one in his episodes and I have been hooked ever since. Thanksgiving will never be the same – we liked the smoked turkey better than the roasted. 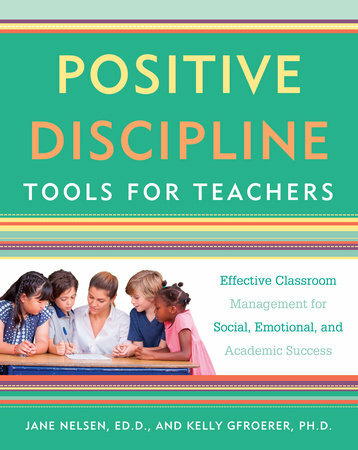 I have been reading “Positive Discipline: Tools for Teachers” although many of the skills would work for parents as well. Each section is very thoughtfully laid out and peppered with many real-life examples. The chapters begin with the discipline tool such as “Greetings,” describes the tool, highlights several examples of using the tool in real classrooms, gives 3-5 tips on using the tool and finally – my favorite part – explains the research behind the tool. The tools in the book remind me of “Teaching with Love and Logic” and “Discipline with Dignity” if you are familiar with those books and programs. There are 281 pages of tools and examples in the book, so there is something in it for every teacher. I would highly recommend this book for any brand new teachers and teachers that would like more discipline tools to use and try in the classroom. In my experience, every tool does not work on every student. Each child is different and some respond differently than others due to family history or simply personality. One chapter in particular explains Curiosity Questions. Instead of barking at the student to finish the worksheet, it begins with a conversational question. This question starts a discussion and I know many of us have had those “Aha!” moments when they had a short discussion with the student: I can’t focus, my mom is in the hospital, my little brother cried all night, etc. Of course, learning objectives do need to be met, but a little grace goes a long way when trying to start a conversation and make a plan on how to overcome those obstacles. In short, there is something for every teacher in this book. The cartoons and quotations peppered throughout the book break up the text well. The author’s tone is conversational and easy to read and understand. I received this book from the Blogging for Books program in exchange for this review. 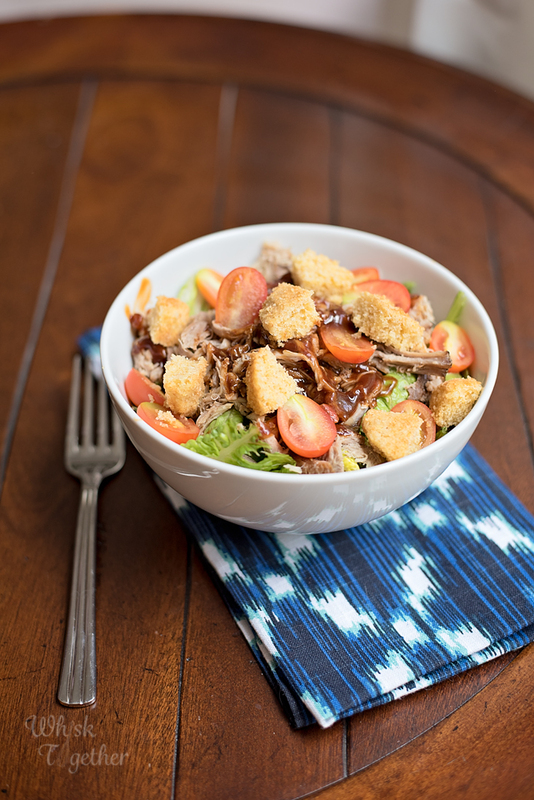 Leftovers to the rescue! I have made this with leftover restaurant smoked pork and homemade. Both are equally delicious! 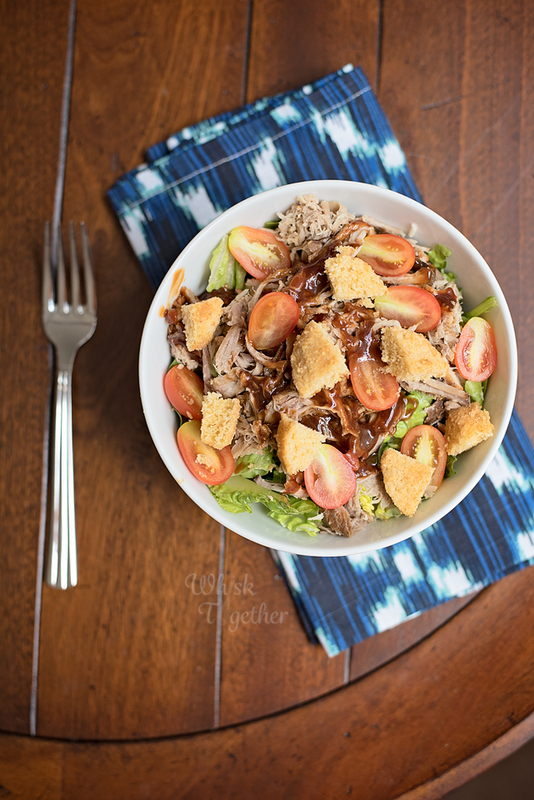 Scale this up or down for a huge BBQ or a small family dinner or a healthy and tasty lunch!! This is my all time FAVORITE BBQ SAUCE recipe. I whip it up in a jar, shake and good to go! No high fructose corn syrup and preservatives necessary. There is enough vinegar in my sauce to keep it in the fridge for quite a while. I don’t use liquid smoke too often, but the price is cheap and it lasts a long time in the pantry. The corn bread muffins were from my favorite corn bread recipe, too. Feel free to use store bought. Or make these and freeze the leftovers for another day. Preheat oven to 450 degrees. Slice the corn muffin into small cubes. Spray with olive oil cooking spray. Place on a cookie sheet and toast for 6 minutes. Set aside. Divide the lettuce into 4 bowls. Add about 1/2 cup pork to each bowl. 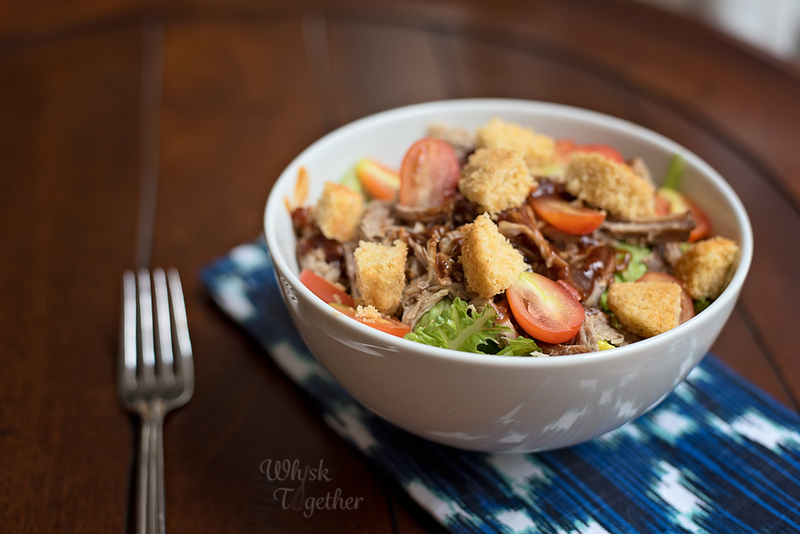 Add tomatoes, some sliced onion and corn bread croutons on top. Now drizzle BBQ sauce or combine ranch and BBQ sauce together if that floats your boat.